Christmas Decorations Hit Disney's Hollywood Studios! Pics Below! 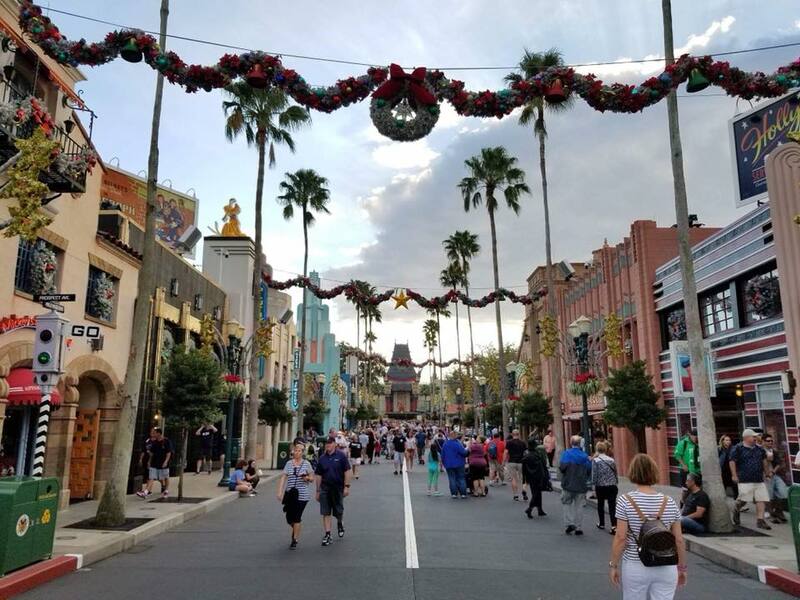 Christmas Decorations hit Disney’s Hollywood Studios! Pics below! As most of you know, Disney doesn’t waste time when it comes to holidays and getting ready for a new season. Halloween was on Tuesday, but by yesterday Disney’s Hollywood Studios was already decked out for Christmas! Take a look! As you can see, it looks beautiful! I reported two weeks ago that they already had Christmas merchandise and ornaments for sale, now the streets are decorated too. The Holiday festivities officially kick off at the Studios on November 9th with some festive character dining and shows. Jingle Bell Jingle BAM is back as well. Stay tuned for more holiday coverage all season long! *A special thank you to Main Streeter Tati Perez for the photos!